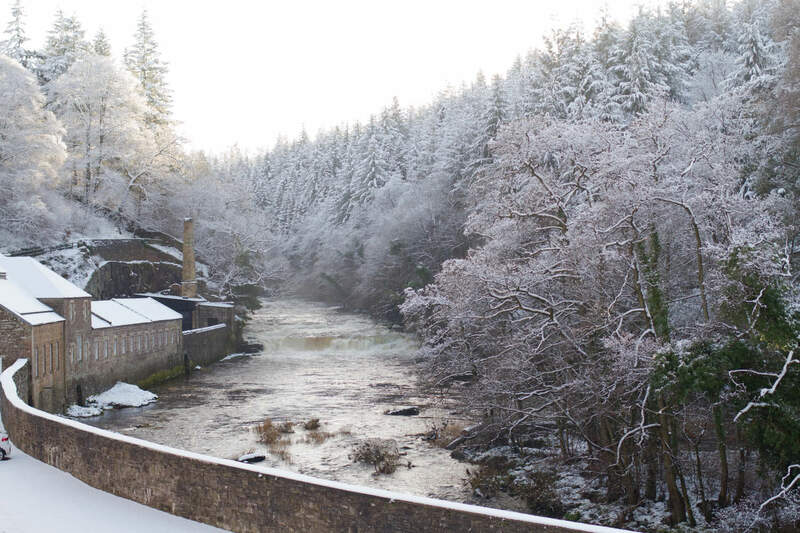 Situated in the World Heritage Village of New Lanark is the beautifully restored New Lanark Mill Hotel. Formally an 18th century working mill it now has a new life as a stylish 38 bedroom hotel. 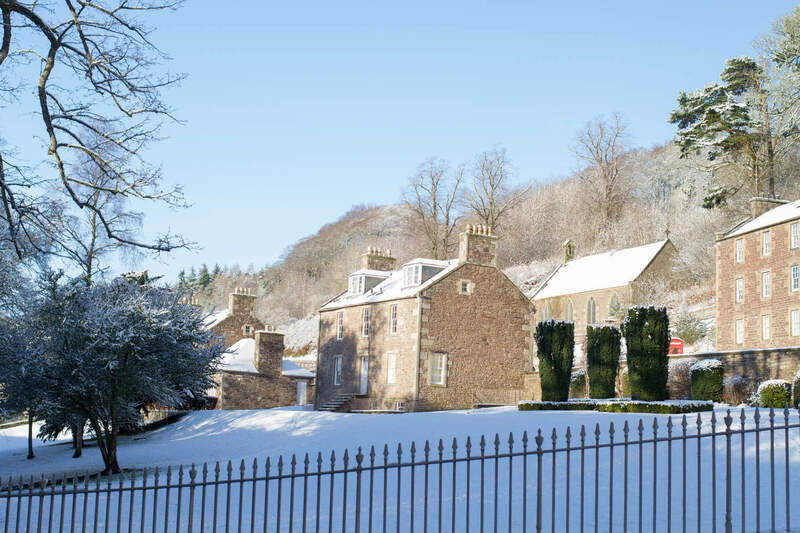 If you have never been to the visitor centre, hotel or walked along the river Clyde you may not be expecting to find the hotel nestled on the banks of the river or at the bottom of the valley. The drive down is truly spectacular, every time you visit it will be different. The native woodland surrounding the UNESCO site are perfect homes for wildlife too. Upon our arrival to the hotel this week it was snowing. Not just a couple of flakes, it was a good few inches deep but the road down was clear (thankfully). We were greeted by the friendly receptionist who booked us in, told us the opening times of the spa area, the bar and the restaurant – all the essential things. She also mentioned that we would get 15% off the entrance fee to the Visitor Centre too, should we wish to visit during our stay. 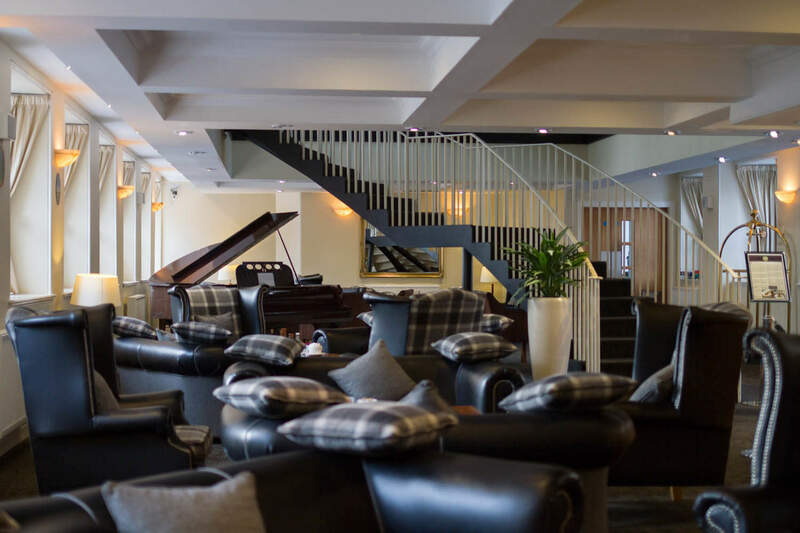 It’s hard not to notice the piano tucked in amongst the comfy arm chairs and sofas. It’s not very often that receptions look so inviting. With just thirty eight rooms it is obvious that the hotel prides itself more on quality rather than quantity. The room we stayed in was spacious, beautifully presented and the bed was really comfy. Taking no time at all to settle in we were off to the bar for lunch and coffee. 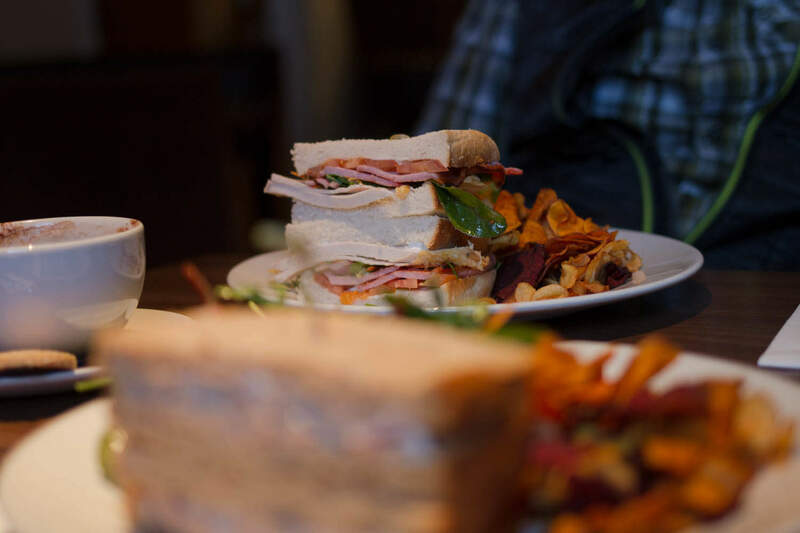 For just £4.95 we chose a sandwich each, good selection of fillings and came with a decent portion of garden salad and vegetable crisps – good value. After lunch, the Dude went for a full body massage in the Beauty Rooms and I went back out into the snow for a little walk. After this I decided to warm up in the sauna and find out how the massage was. “Just what I needed” was the answer. I had to wait until the following morning for mine but it was worth waiting for. The pool, sauna and bubble pool are all a great way of relaxing and sitting and spending time catching up on that book you’ve been promising to finish. I’m not very good at sitting still for very long and we wanted to make the most of the the snow and scenery. 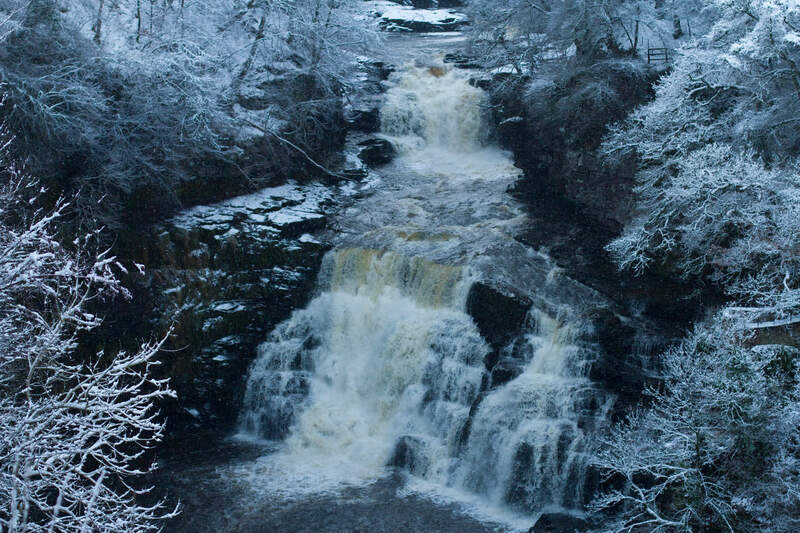 The falls of Clyde are magnificent and we had only previously seen them in July, so the snow just magnified their beauty. The walk isn’t very long and the last little bit is steep, but well worth the effort. Back at the hotel we found ourselves in the bar for a couple of pre-dinner drinks and got talking to other guests. A lady who had visited previously and wanted to have a spa break with her daughter and grand daughter, they were staying for two nights and having a really wonderful time. You know you’re in a good place if guests return time after time. 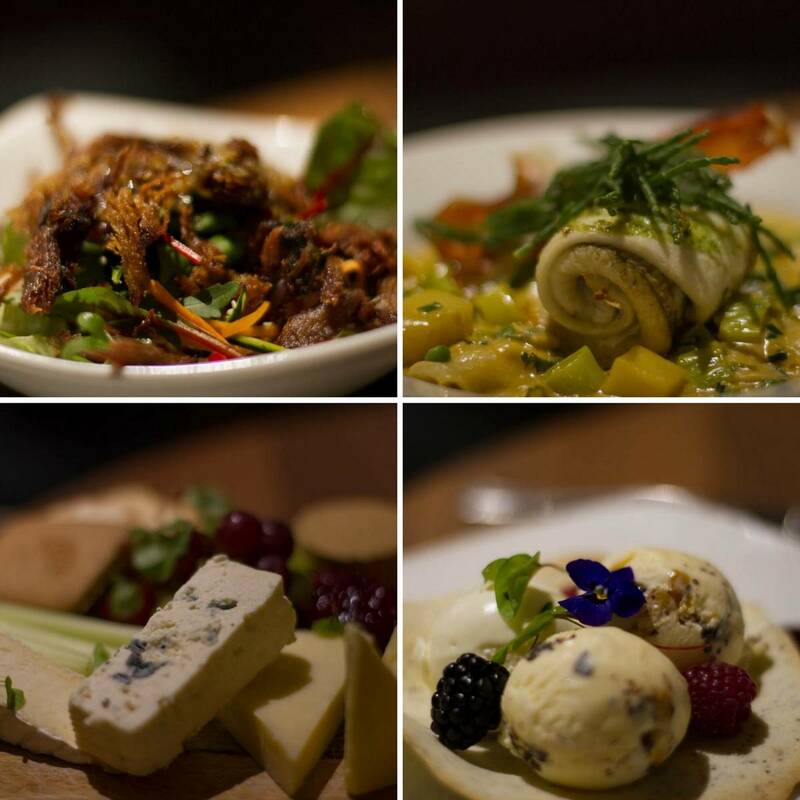 On the second floor of the hotel, Mill One restaurant seats diners for some rather special food. The menu is extensive and we did struggle to choose what we would like eat but in a good way. You know when you think you’ve chosen what you want and then something else catches your eye. Exactly that! But nothing could prepare us for the quality and artistry of the food we were presented with. Even as I write this I am drooling. It is easy to see how they have won a “Taste our Best” award. After a fabulous nights sleep we were up early-ish for breakfast and after such a huge meal the night before we opted for a light meal to start the day. Again all very lovely and with the added bonus of a fresh smoothie to drink too. Nice touch. Finally it was my turn to get a massage and it was a lovely start to the day, just a shame we then had to leave. Booking out was easy, we settled our bill and wished a safe journey etc from the same receptionist who had booked us in nearly 24hours earlier. 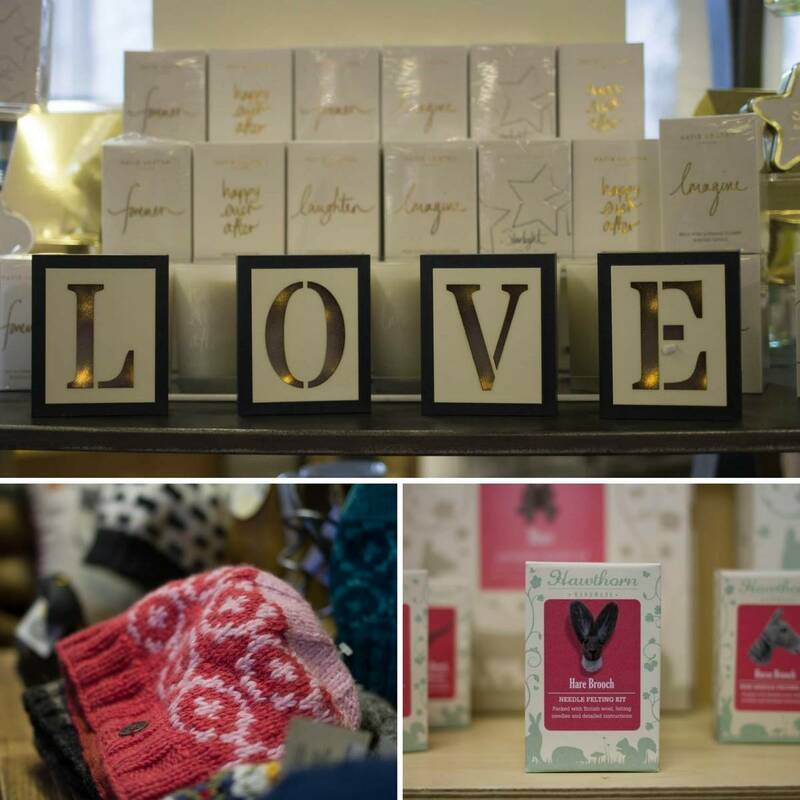 Before we left we did visit the Mill Shop, where hotel guests get 15% off any purchase during their stay. There are some fabulous gifts and we found a tweed/leather belt which now has a new home! Would we stay here again? Yes. Would I recommend staying here? Yes. Would I recommend eating here even if you don’t stay? Hell yes! 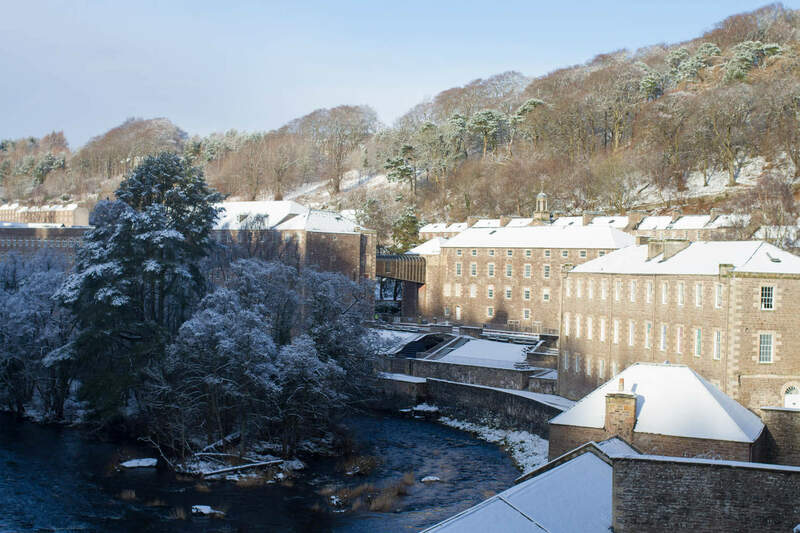 There are plenty of reasons to book up a stay at the New Lanark Mill Hotel (if you need them): Valentines Day, my “big” birthday, Mothering Sunday or a “just because” stay. 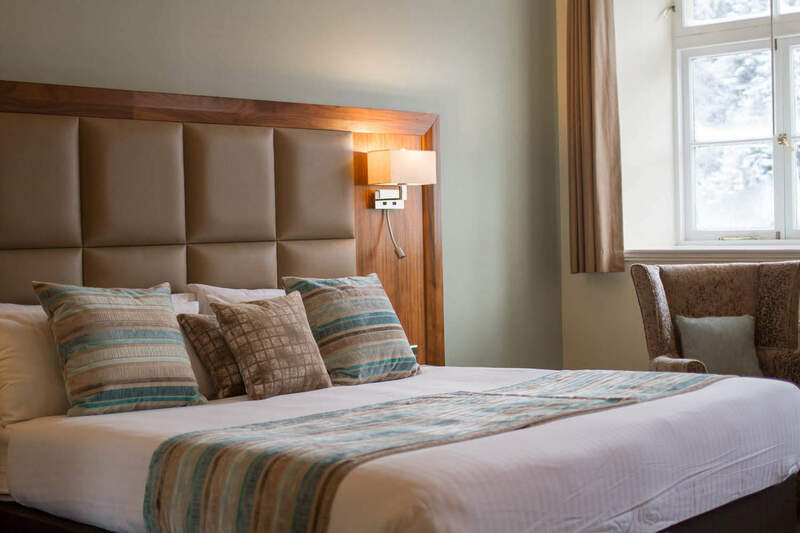 Only 50 minutes from Glasgow and just over an hour to Edinburgh it is perfectly situated for a shopping/spa weekend or a relaxing mid-week break. Its a fab hotel … kind of away from mainstream … but so much better for that … and the spa and restaurant are great! Great review and well deserved for the hotel. We stayed there last week and loved it – couldn’t fault a thing! Oh my goodness this looks so amazing! Your photographs are just fabulous as always. Do you think I’d get away with leaving the husband with the kids for a couple of days next time we come up so you and I could get a spa break here? Worth a try!